I forgot to add this but Like how moth flight went around each clan teaching them how to be a medicine cat do you think Tree willl do the same for each clan Mediator? That would make a bad thing! In my perspective, I think ONE mediator is good. Otherwise they WILL argue for their, and their only clan. I thought that Tree would take an apprentice from another clan, teach them, and when he dies, the taught, now raised in SkyClan’s ways, will return to their kin they likely barely know and be a full mediator. That would mean that this chosen cat has more than one perspective so that could educate them. Well, actually, (Correct me if I am wrong, Kate) I am pretty sure Somewhere around blogclan it was mentioned that each clan would have a mediator. Kate, what ever happened to Dragonfly from Nettlesplash’s bonus scene in Darkest Night? She was a member of Darktail’s rogues, but we never see her in the main story line. I really liked her and would like to see more of her. I’m afraid she just faded into the forest with the other rogues. But I’m glad you liked her. Interesting periphery characters are always satisfying. Aw, that’s a shame. I was kind of hoping that she was Tree’s sister since he mentioned he had a sickly sister and Dragonfly was pretty sickly when we first met her. Maybe Tree’s novella will mention something? They do kind of look alike. And by that, I mean they both have yellow pelts. And both are kind. On which page? 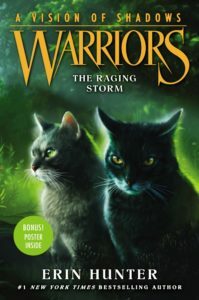 I thought someone might be able to add it to the Warriors Wiki. Kate, just how old is Daisy exactly? She’s been with us since the 2nd series, but we never did find out her age. Ivypool stated at one point that Daisy was getting too old to be looking after another litter of kits, which implies to me that she might retire soon. My guess is around the same age as Spiderleg? Born around FQ’s time? So Kate,do you think Twig and Fin are mates now? Hey Kate what’s your Patronus? Or what do you think it is? It’s basically an animal guardian from Harry Potter that represents you. There’s a test on Pottermore that lets people find out theirs. oh ok that’s cool Kate! Kate, it’s a Harry Potter thing.. Flower it’s probably best you don’t assume that people know what your talking about. Instead, maybe start off like “Do you like harry potter?” and go from there. Me too 🙂 I’ve never read them or seen the movies, but my friends tell me lots about it. Perhaps we should. Or is it too late now? Haha I don’t plan on it 🙂 not big into fantasy unless it’s about animals, honestly. I’m pretty sure Flowerstep means the patronusses of Harry Potter, Kate. Just wondering, how did you know that? When it comes to colours and descriptions, I kopek quiet. If it’s not on the wiki, it hasn’t been decided yet and it’s unhelpful for a single erin to unilaterally decide. Let’s both wait and see. According to the wiki, Fernsong and Hollytuft have green eyes (Hollytuft is the spitting image of Hollyleaf and she was named after Hollyleaf so I’d assume she had green eyes) and Sorrelstripe has blue eyes. 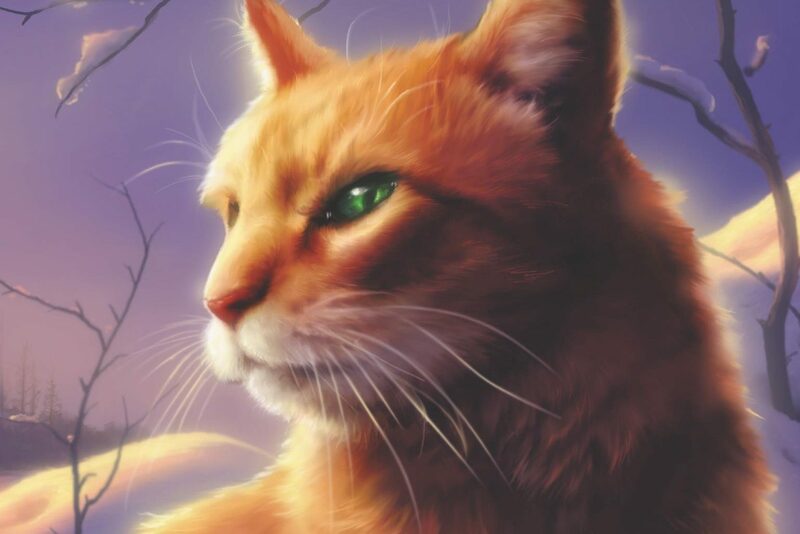 Flypaw has pale amber (or orange) eyes or something, Spotpaw has yellow eyes, and Snappaw has green eyes (this is all according to how the wiki portrays them though). I can see that. But I’m sure you’re well qualified to tell the truth from the fiction. Ooh I like these ideas though! These novellas would be interesting to read if they were real. Kate I haven’t seen you on Goodreads in forever! There’s not enough time in the day for every website! Well glad it’s nothing too bad, are one of these gonna be actual books??? And does Goodreads work like a wiki??? I doubt it. And, I guess, yeah, kind of.